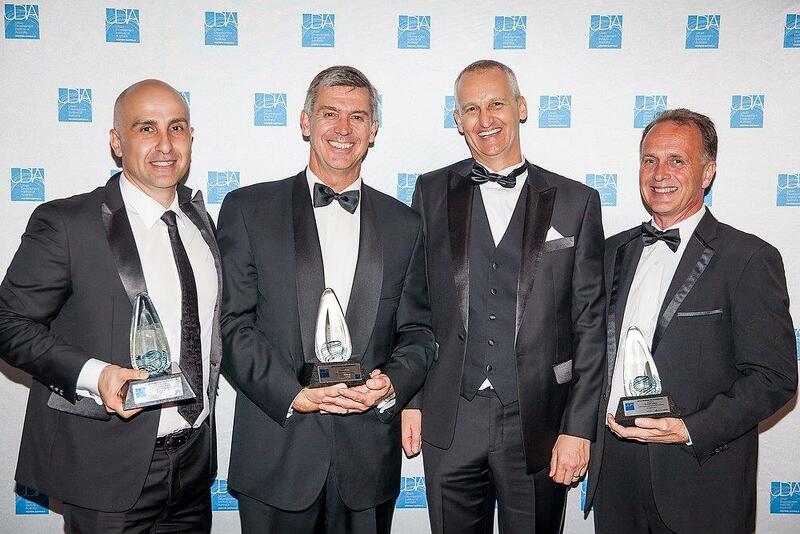 Richard Noble & Company’s project Cygnia Cove has not only won multiple awards, but also one of the most prestigious awards in Australia: “Best Residential Development in Australia” in 2015. Below is a summary of all awards. 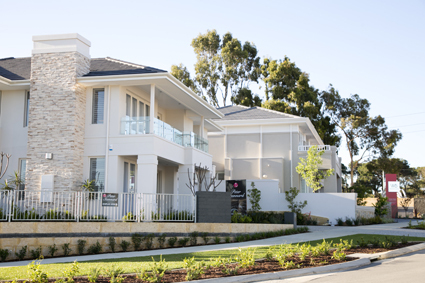 Waterford in Western Australia is officially home to the best residential development in Australia, with Richard Noble’s Cygnia Cove winning the Residential Development Award at the 2015 Urban Development Institute of Australia (UDIA) National Awards for Excellence. The project also won the prestigious Environmental Excellence Award. Naming the development the best in Australia, the UDIA judges also said, “Cygnia Cove is a premium quality residential estate established on a difficult but highly desirable site fronting the Canning River. 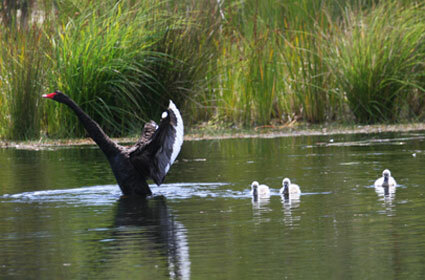 The development, located just eight kilometres from Perth’s CBD, has successfully integrated a multi-award winning residential community, neighbouring established heritage buildings, rehabilitated and newly constructed wetlands, a successful Black Swan breeding habitat, and expanded foreshore reserve. 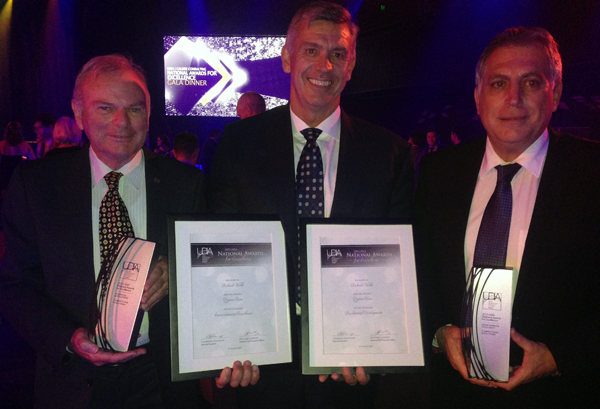 Cygnia Cove’s ‘night of nights’ at the 2014 UDIA (WA) Awards for Excellence gala dinner with Richard Noble and Company being presented with three prestigious awards. 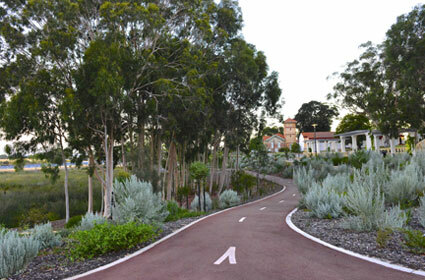 This is great recognition of the commitment and hard work it has taken to transform this challenging site into a magnificent 188-lot residential estate, with a revitalised wetland and expanded foreshore reserve, that also provides a lasting environmental and cultural legacy for the whole community. Richard Noble Managing Director Alex Gregg said he is very proud of what has been achieved at Cygnia Cove. “As the prize which awards the entry which is considered to be the best of the various Category Winners, the President’s Award is traditionally awarded to only the very best of developments and this year is no exception. As the winner of the two categories in which it was entered, Cygnia Cove is outstanding in all manner of ways and its 17 year history from the commencement of planning to today is testimony to the developer’s great perseverance and a commitment to a vision. The full UDIA report with all details and winners can be viewed here.